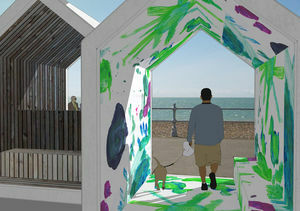 The design of several beach huts and a shop kiosk along the seafront promenade at Bexhill-on-Sea, Kent. 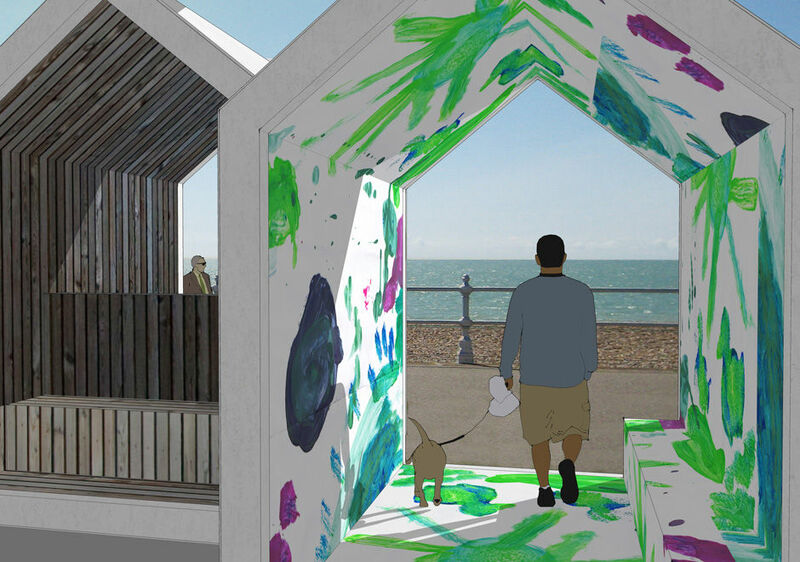 An innovative project entailing prefabrication, our concept was to create a new version of the beach hut and place it in a range of clusters along the promenade. Each hut frames a view and is large enough to accommodate a family or group of friends and small enough to provide a contemplative quiet space for an individual or couple. All huts are identical externally, each a robust high quality white precast concrete structure, manufactured and fitted out off-site with two types of interiors. 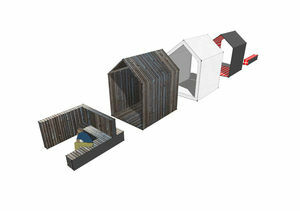 Timber board interiors make reference to the traditional beach hut. The coloured interiors are to be designed by the residents of Bexhill, with finished artworks photographically reproduced on high-pressure laminate boards. The kiosk design is a variation on the beach hut theme. 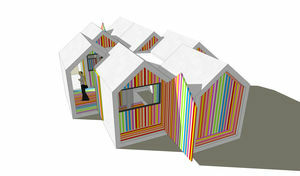 Two runs of huts are positioned side by side with the central units displaced to form the entrance and counter, with the interior pattern evoking deck chair stripes or sticks of rock, and thus reinforcing the British tradition of striking and cheerful colours at the seaside.